In this article, we’ll go over how you can diagnose the Fred penalty. We’ll also tell you how to rank in a post-Fred world. Special shout out to Wylie Stillwell who helped with the strategy here. Earlier this year, Google rolled out the “Fred” update. It was the source of much frustration for countless SEOs. Why? Because some of them saw as much as a 90% drop in traffic after the update. Fred impacted many sites. To recover, it is important to find the sections that were hurt and improve them. Improving them means removing, updating or redirecting bad content, minimizing ads and affiliate offers and making sure your backlink profile is clear. Google rolled out Fred in March. Although the company didn’t own up to the update at first, eventually the Big G had no choice but to reluctantly acknowledge the new algorithm. In fact, Google was so unwilling to admit to the update that the company didn’t even give it a name. Eventually, it was called “Fred” by the SEO community. So how did SEOs find out about Fred if Google didn’t want to talk about it? They noticed their ranks dropping. Some sites saw pages that were in the top 20 vanish from the search results completely. Others noticed significant rank drops. Automated tracking tools showed high volatility in rankings. SEOs took to online forums to publicly wail and gnash their teeth about what had happened. But what caused the rankings to drop? Although the folks in Mountain View, California are hush-hush about the exact nature of the update, online marketers have reached a couple of conclusions. First, the update is an attempt to combat against “webspam.” That’s an effort at trying to rank a site by purchasing links on low-quality sites. Second, Fred also affects sites that don’t have quality content, especially as it relates to specific keywords. For example, if a site tries to rank for “faded blue jeans” with an article that uses that keyword repeatedly but doesn’t really offer any valuable content on faded blue jeans, then Fred will push the article down in the SERPs. Fred seems to have affected black-hatters the most. That’s understandable, because they look for shortcuts to “rank and bank.” People who play with the dark side of SEO often use webspam and create “spun” content that’s low quality. Google wants to make sure that people who search for content based on a keyword are getting information that’s valuable and relevant. That’s why the Fred update was released. Have You Been Hit With It? If you have SEMRush, you can tell fairly easily. Just head over to Domain Analytics and check out the “Position Changes” tab. There, you can export a list of dropped keywords. Once you have that list, just Google some of the keywords that got dropped. Check out what the search engine is putting in the top 20 results. You’ll likely find that the top results include pages that are not only extremely relevant to the search term, but also offer you valuable info. Now, compare those results with the landing pages on your site that got dropped. Is the content as high quality? Is it as relevant to the search term as the content in the search results? Probably not. That’s a good sign that you got slapped down as a result of the Fred algorithm. As we’ve seen, Google won’t tell you exactly what’s in the Fred algorithm. That’s why some SEO professionals had to make some inferences. However, Gary Illyes did offer an important piece of advice about how to avoid getting hit with a Fred penalty. This past April, at the AMA session during the SMX West conference, Illyes said that the answer to Fred is in the webmaster quality guidelines. Provide high-quality content – In your content marketing efforts, make sure that your articles are top-notch. If you have to, hire a professional writer to give you the best quality. Also, strive for longform content as that tends to cover subjects more exhaustively. Avoid “forced” backlinks – If you’re in the habit of buying backlinks from people who own their own private blog networks (PBNs), stop that practice immediately. Even “honest” guest-posting can get you into trouble if you’re forcing unnatural backlinks from low-quality sites. Instead, strive to produce quality content (see above) and let Google’s algorithm push it to the top of the SERPs. Avoid excessive ads – The Fred update also hit sites with an abundance of ads. Although it’s unclear how many ads is “too many” for Fred, you can use common sense. If you think people will find your site annoying because it has a couple of pop-ups, a video ad in the corner, ads in the middle of the content, and banner ads all over the page, you can be fairly certain that you have “too many” ads. 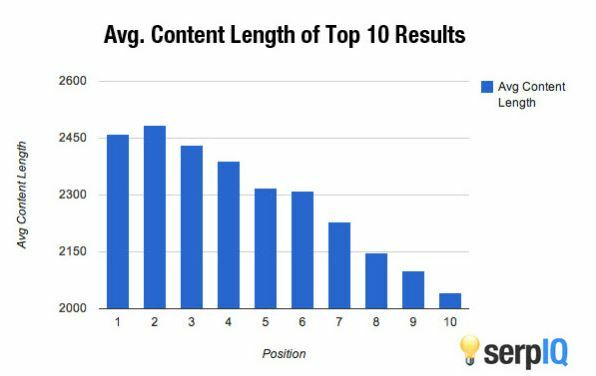 If some of your content lost rank because of Fred, you might not be able to fully recover it. However, going forward, you can make sure that your future content ranks well. Do that by producing quality articles, avoiding backlink spam, and showing only a few ads on your site. In addition, make sure your website is focused and does not try to cover general topics.